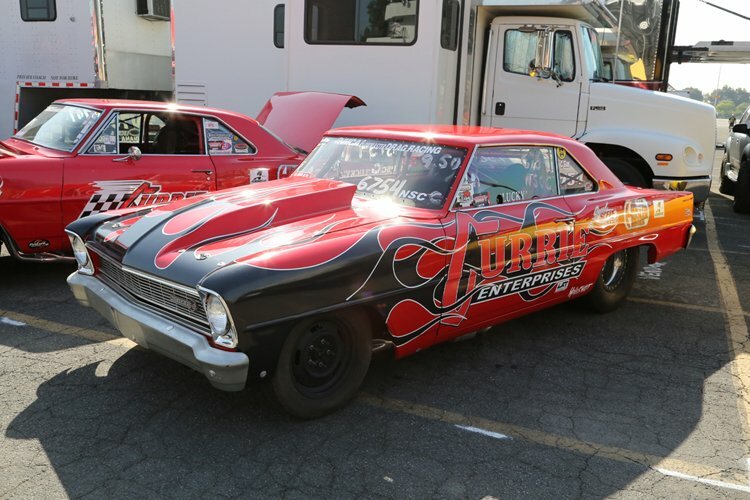 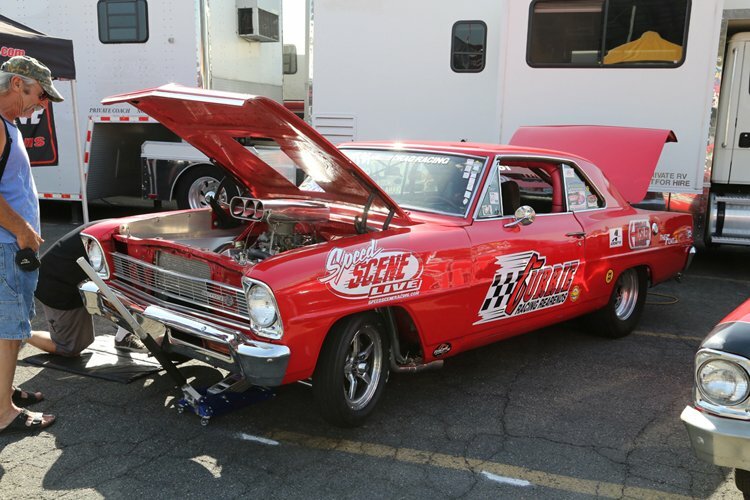 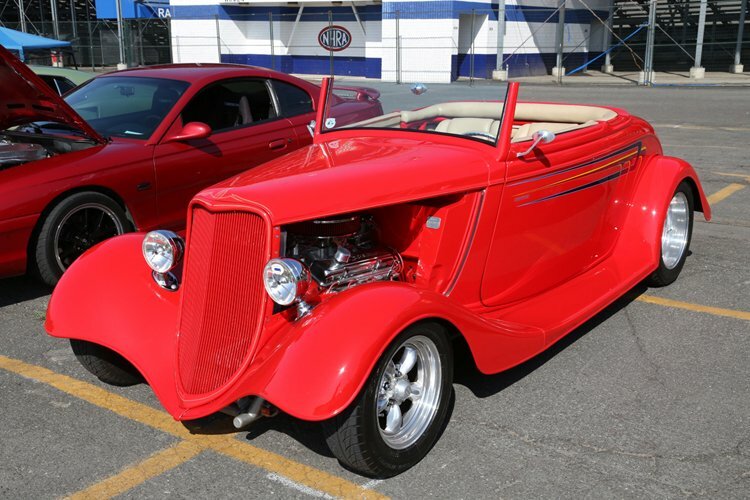 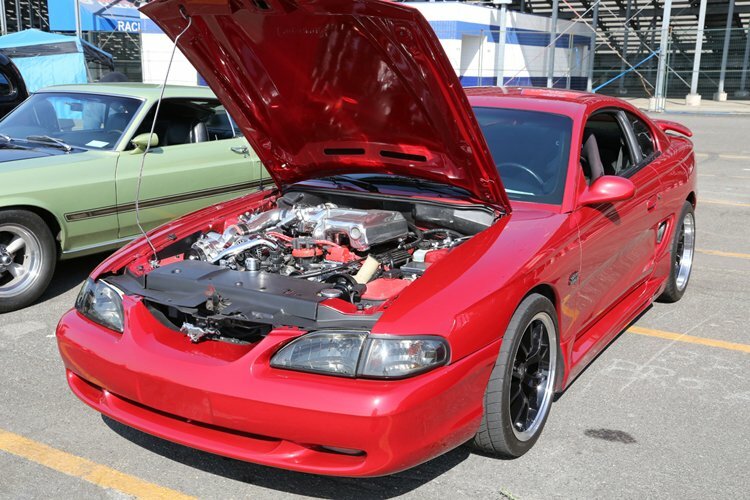 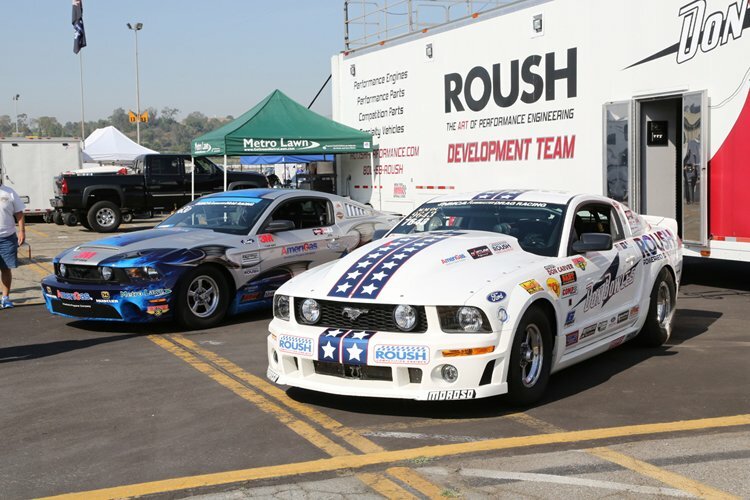 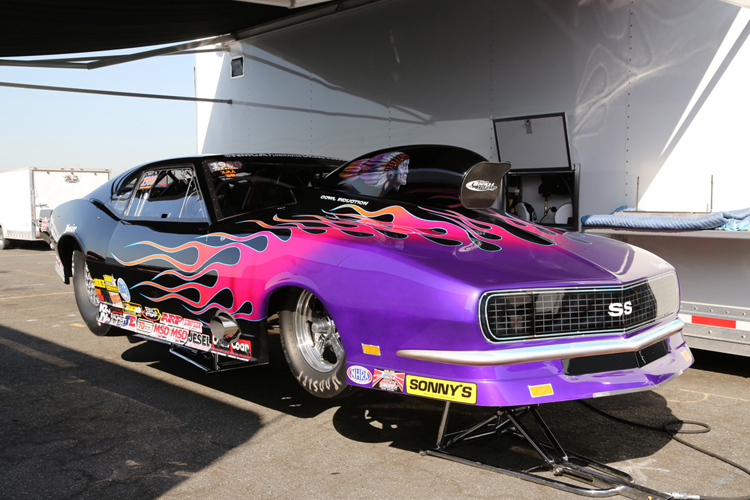 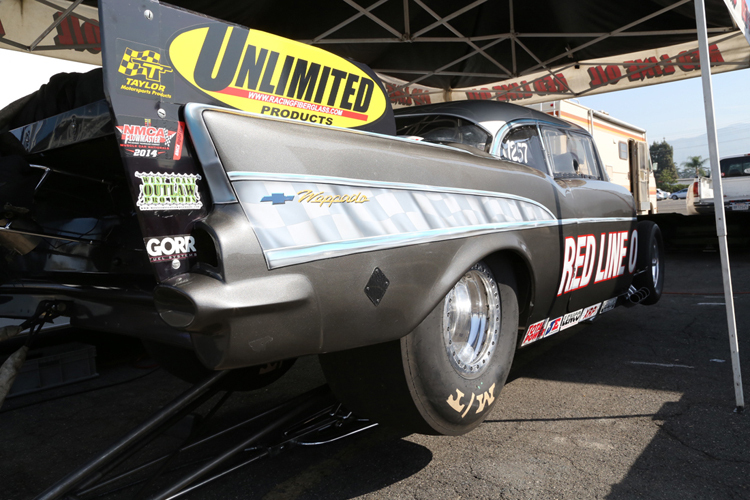 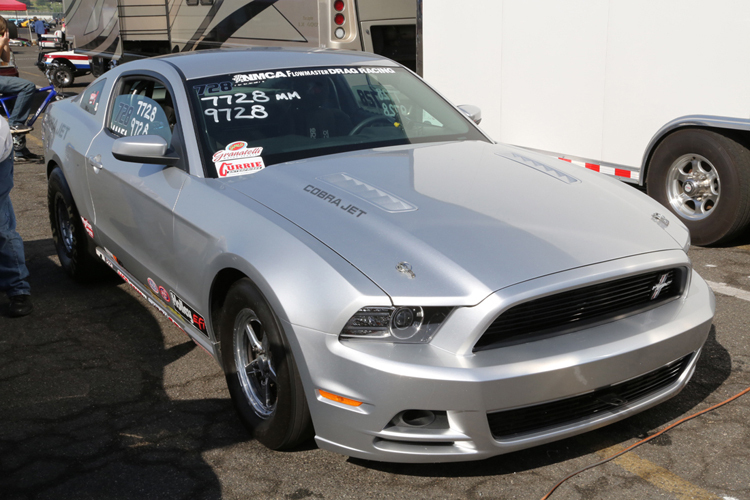 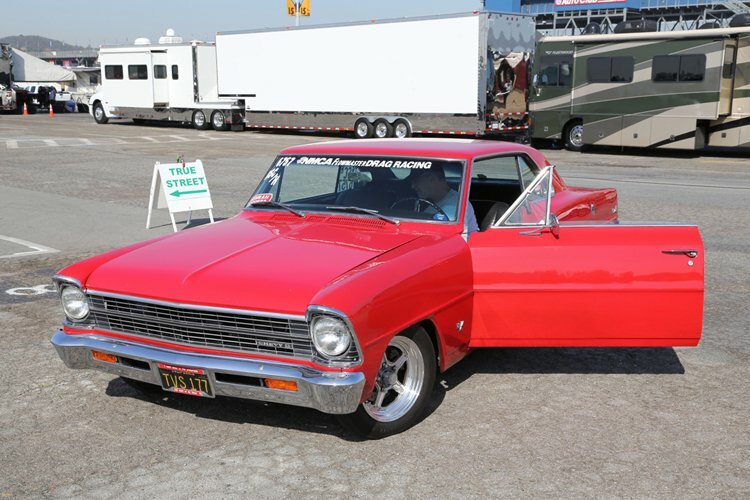 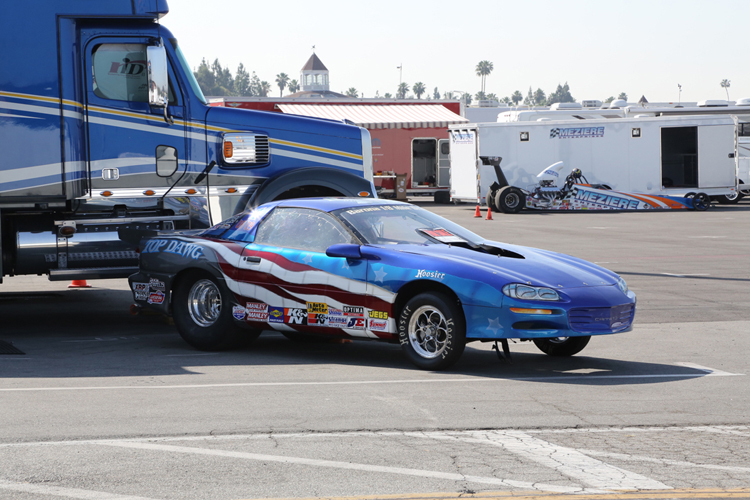 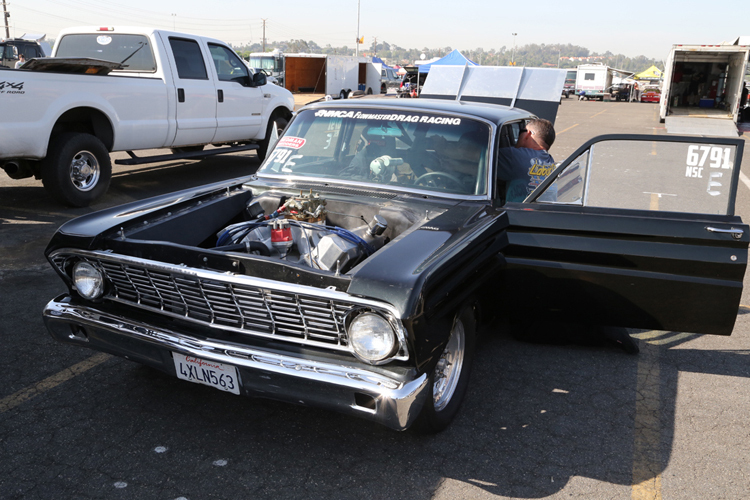 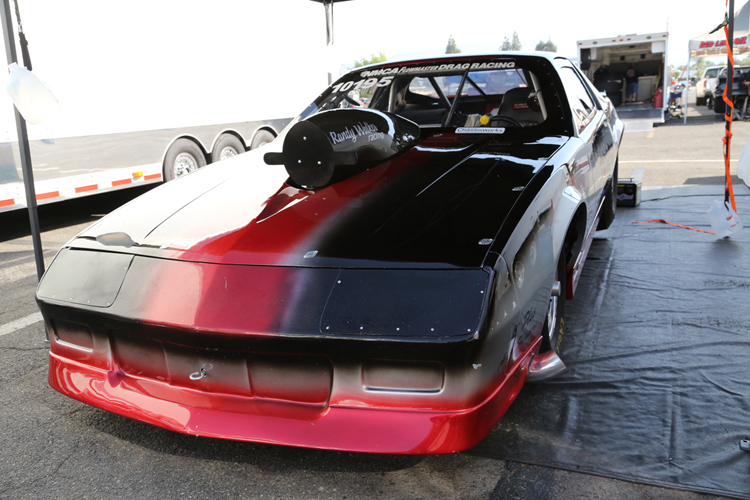 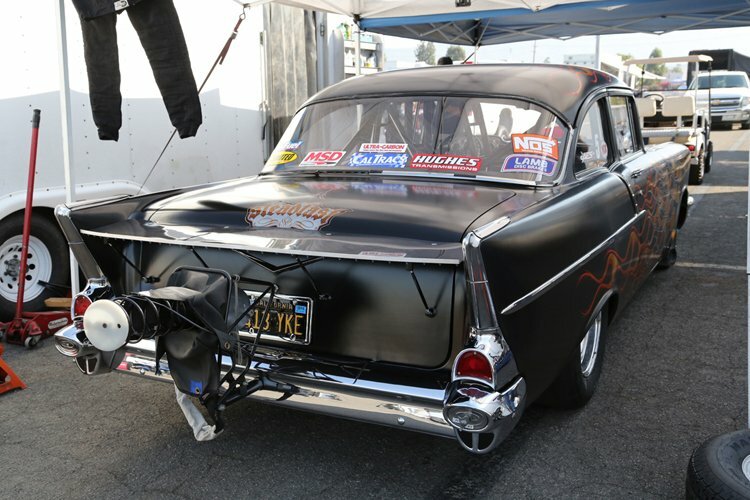 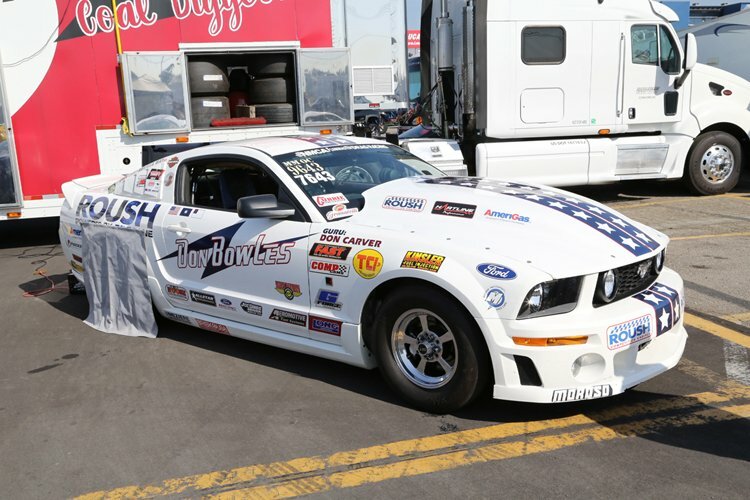 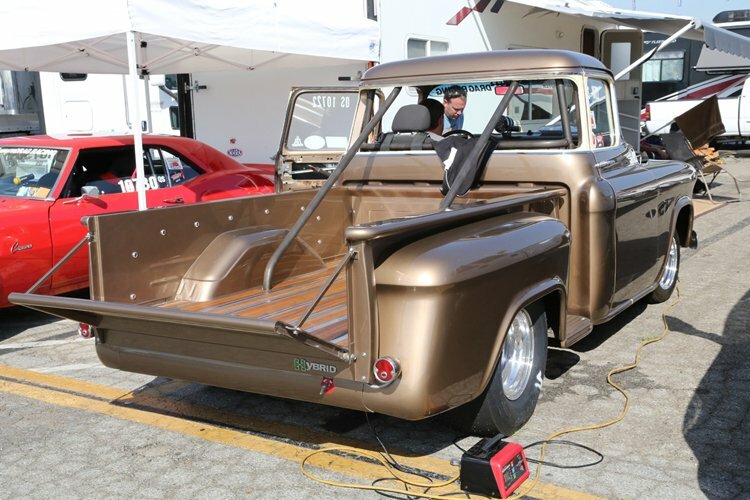 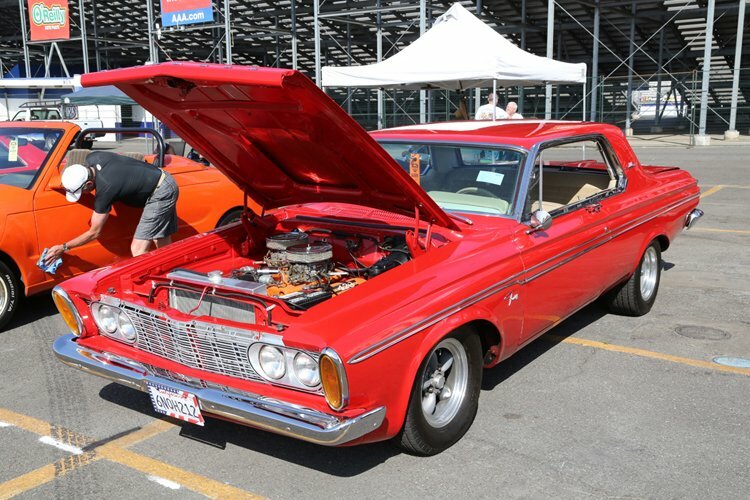 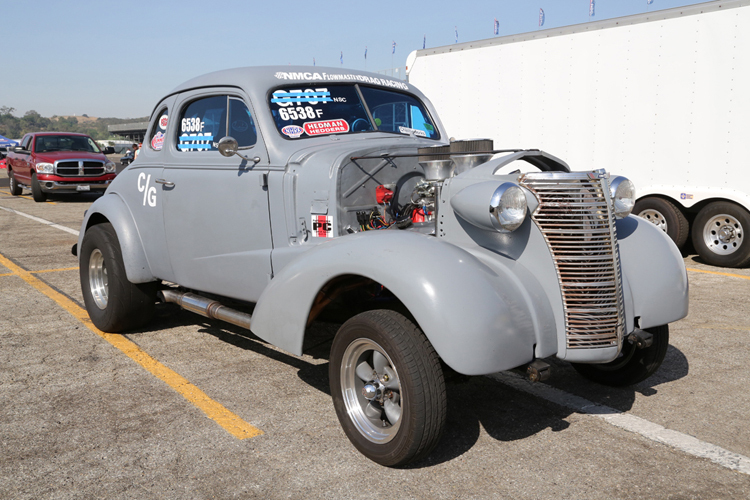 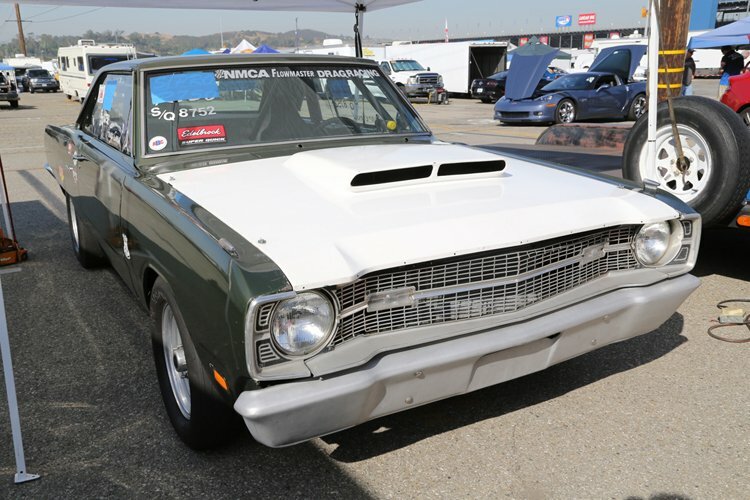 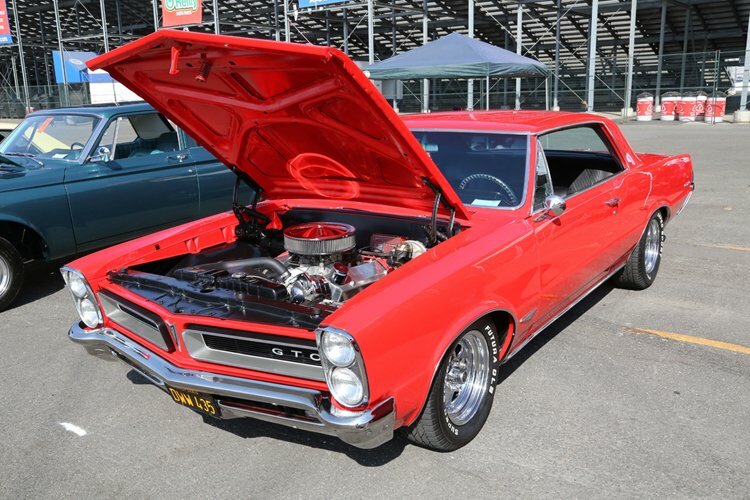 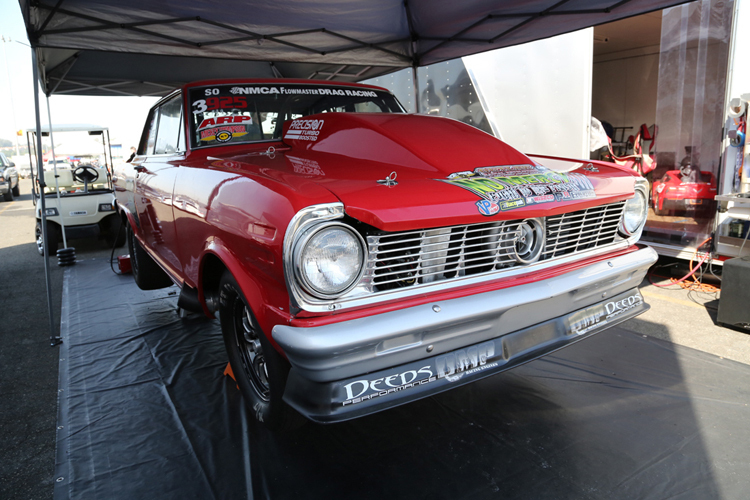 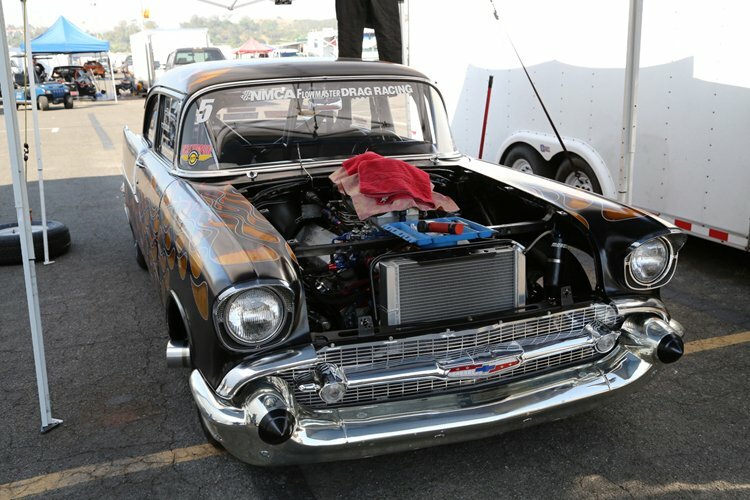 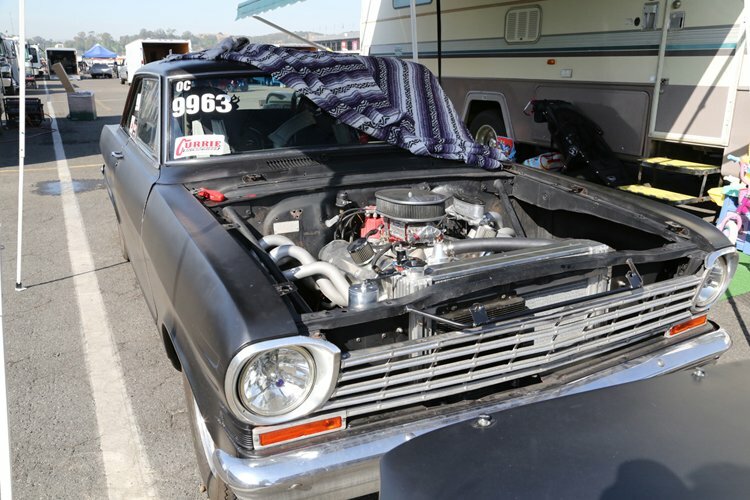 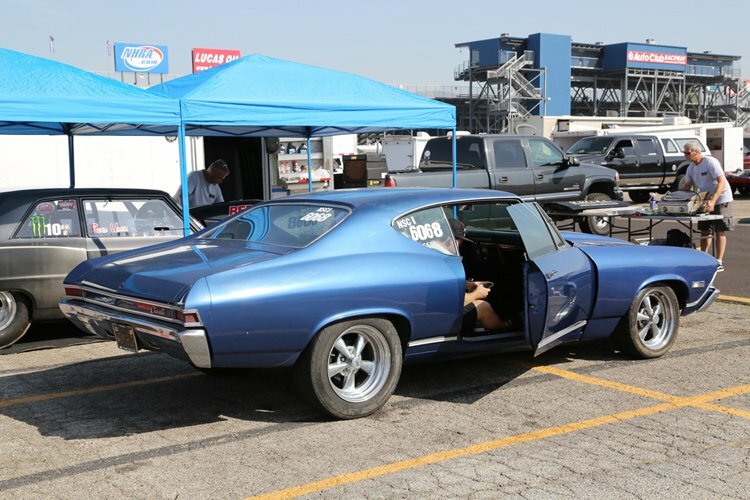 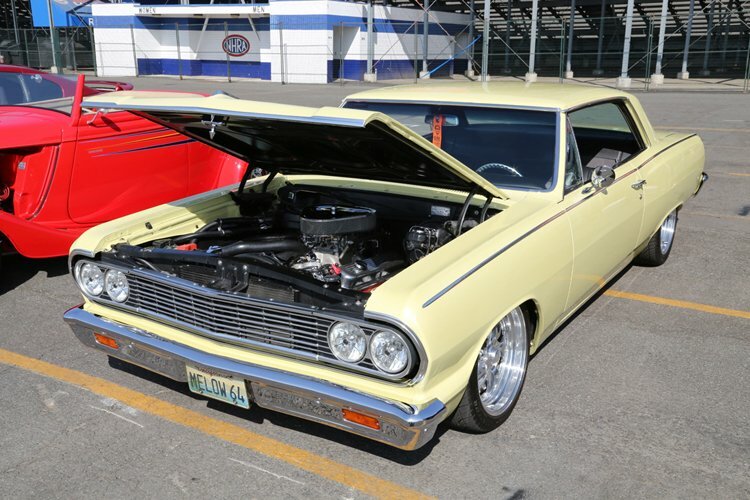 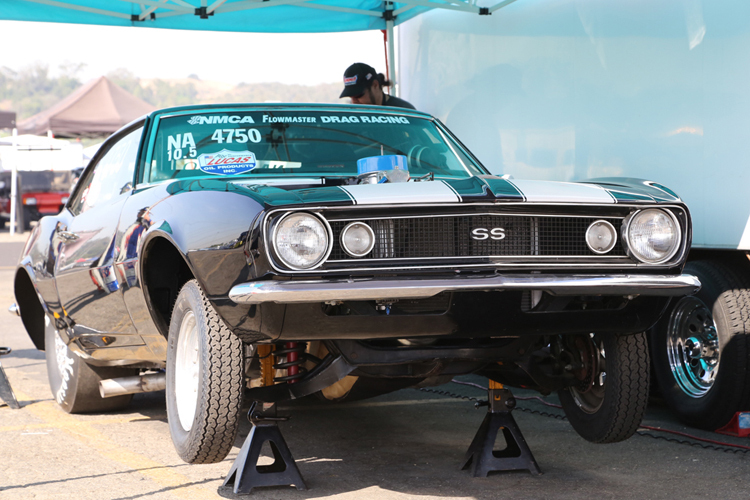 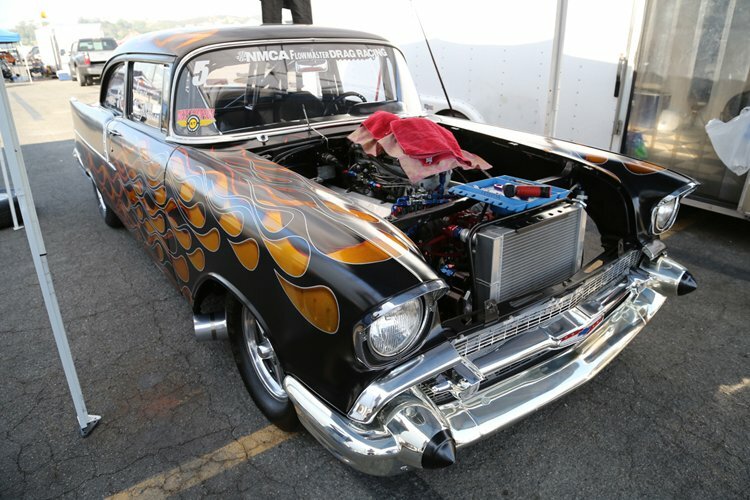 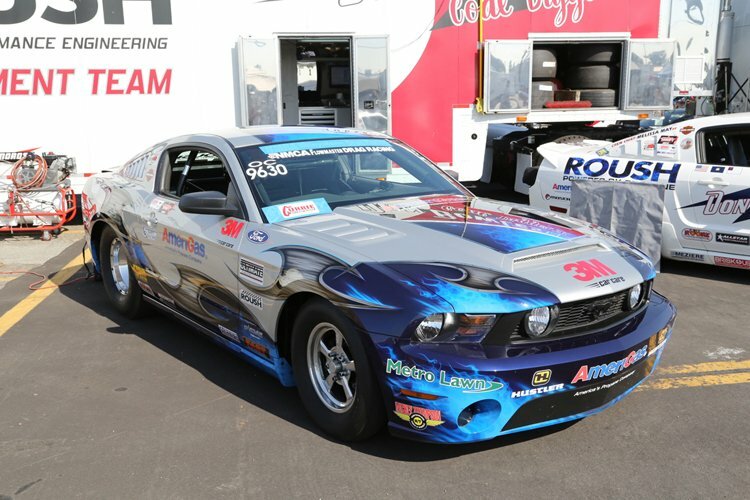 For the last couple days we have been touring the pits at the NMCA West Street Car Nationals in Pomona with you. 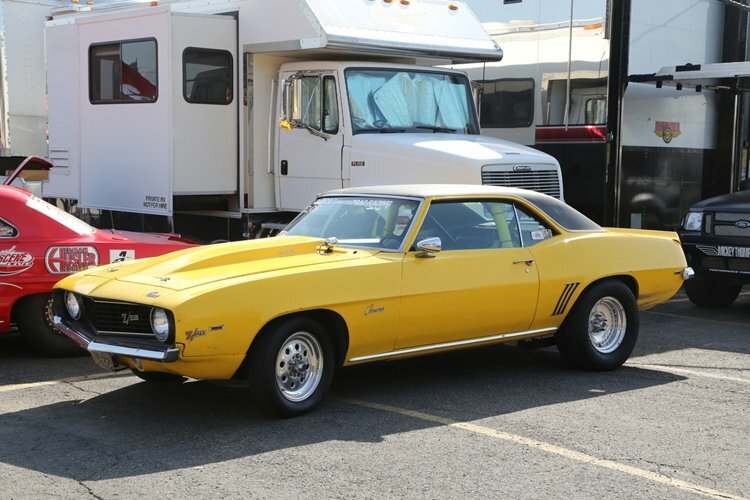 Each time we have been highlighting a slightly different section of the the cars that were there to race, show, or just hang out. 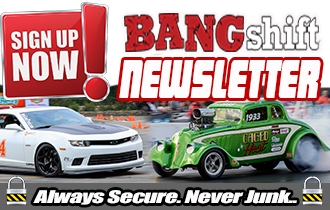 Today’s peek is at the really fast stuff. 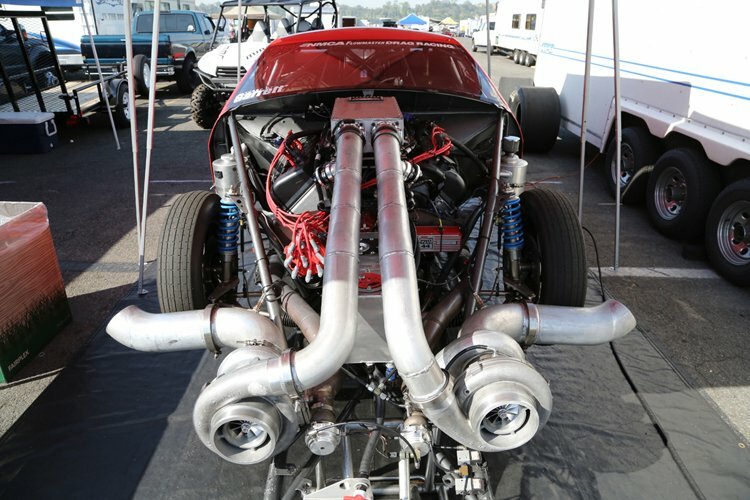 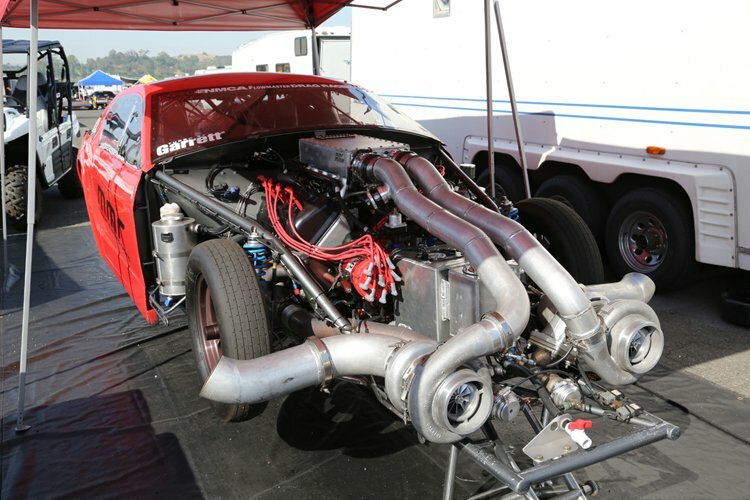 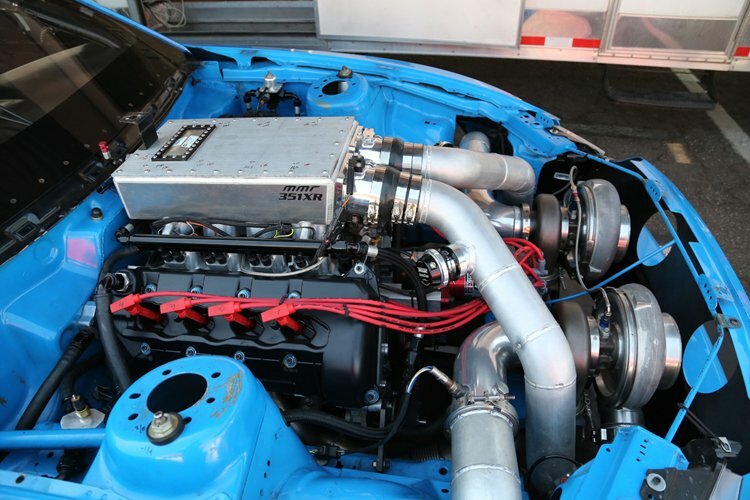 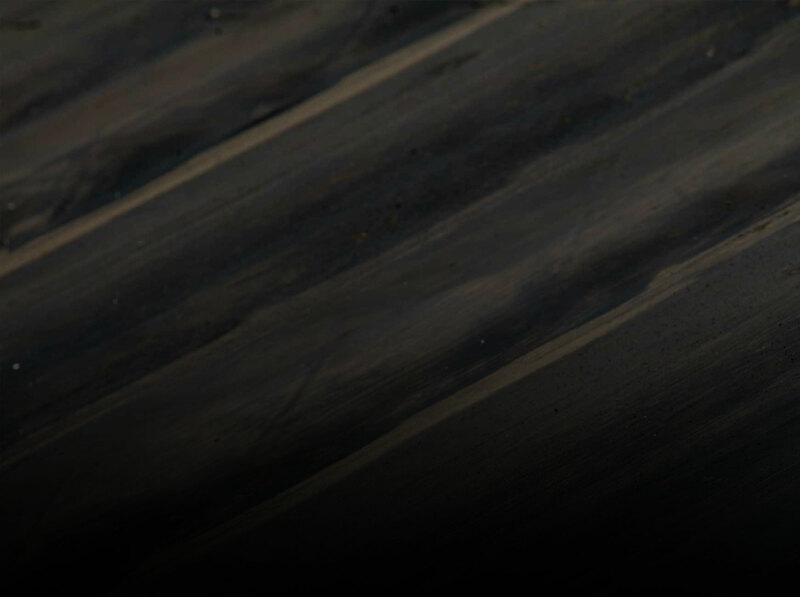 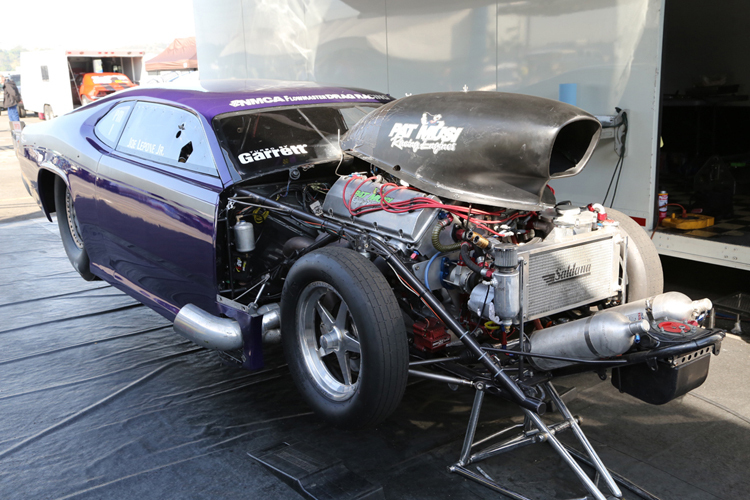 We’re talking the stuff with turbos, big blowers, nitrous, or some combo of the three. 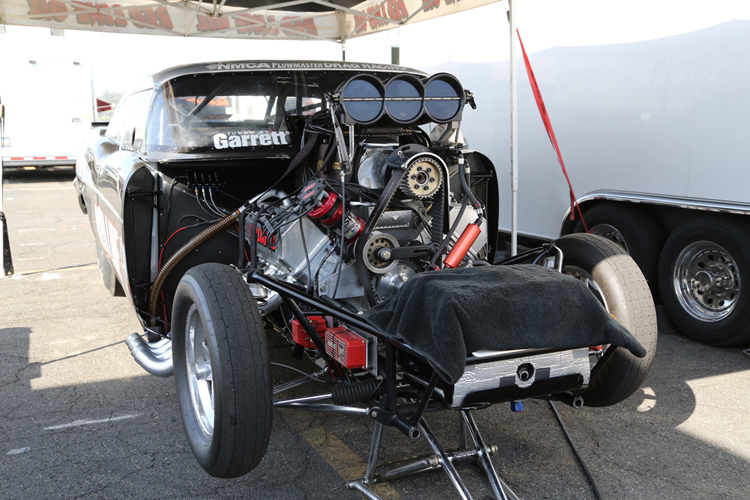 Many of the photos you’ll see in this galley are of hoodless or noseless cars where the motor is all hanging out for your gawking pleasure. 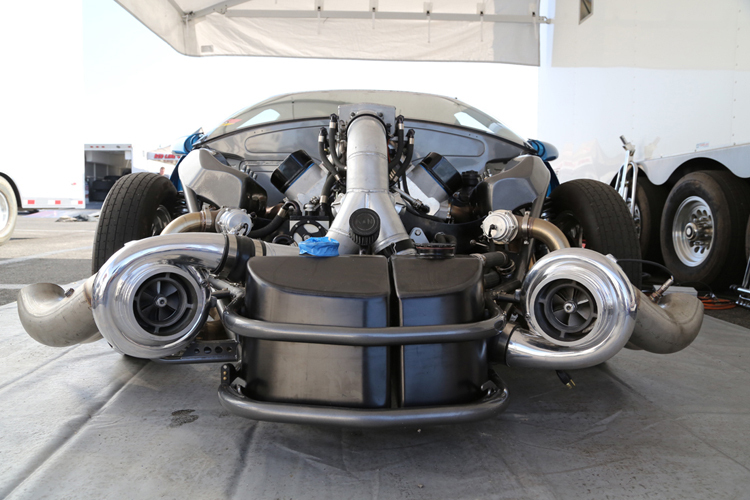 It is fun to see where different builders jam the turbos and how all of the different stuff is packaged in general. 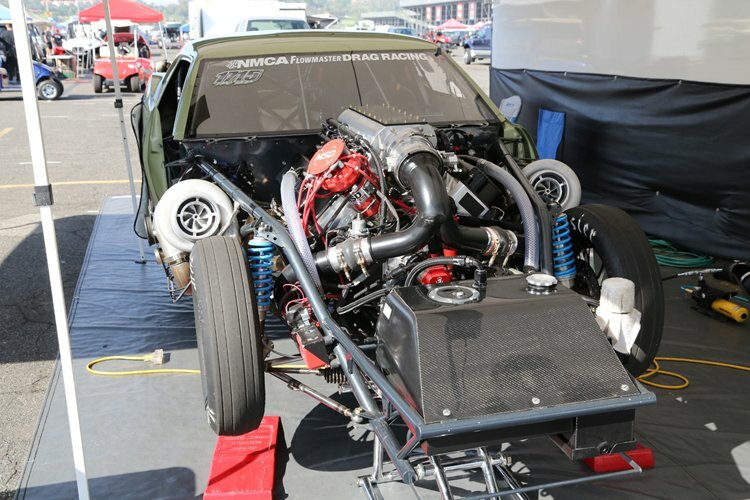 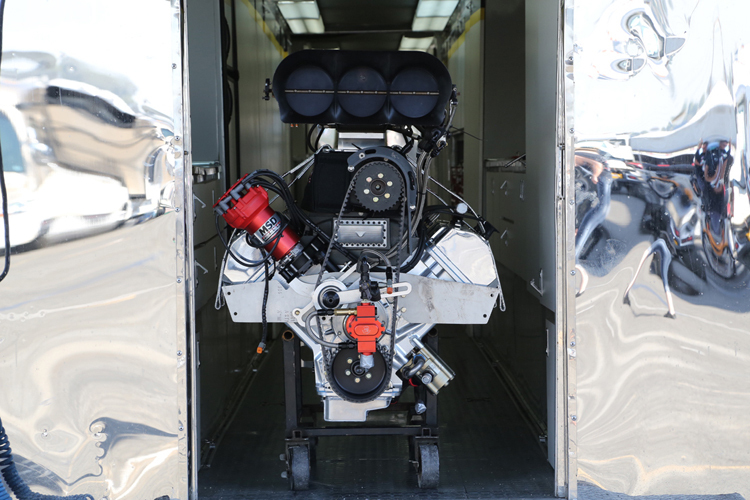 The modern door slammer drag race car, from the depths of stock eliminator all the way up to pro modified has so much technology in it compared to what was happening even 20 years ago it is amazing. Not all of it leaps out at you but for instance just the developmental work on shocks and springs that has been done in that time is pretty incredible. 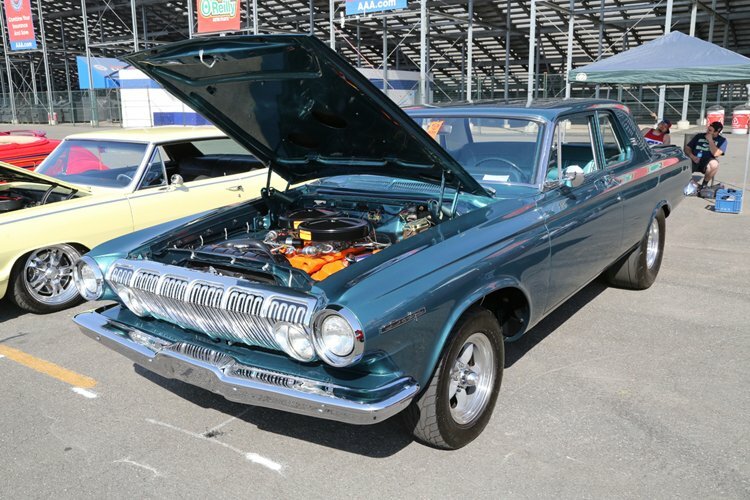 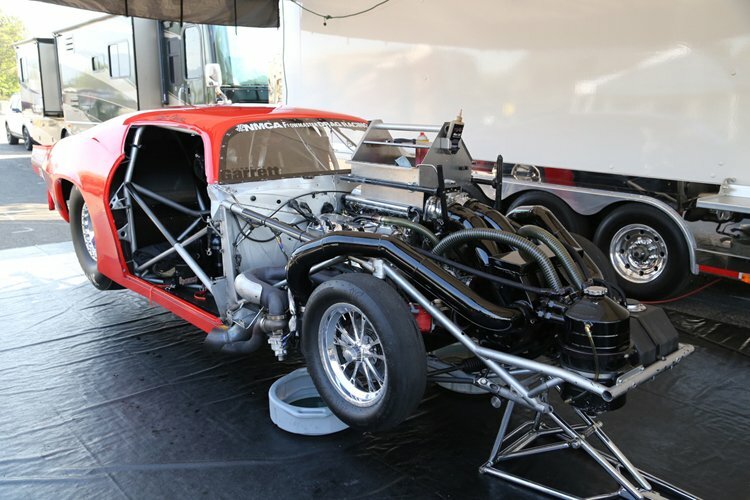 The NMCA West Street Car Nationals was a smashing success and one of the reasons is the pile of killer cars they had to put on the race track. 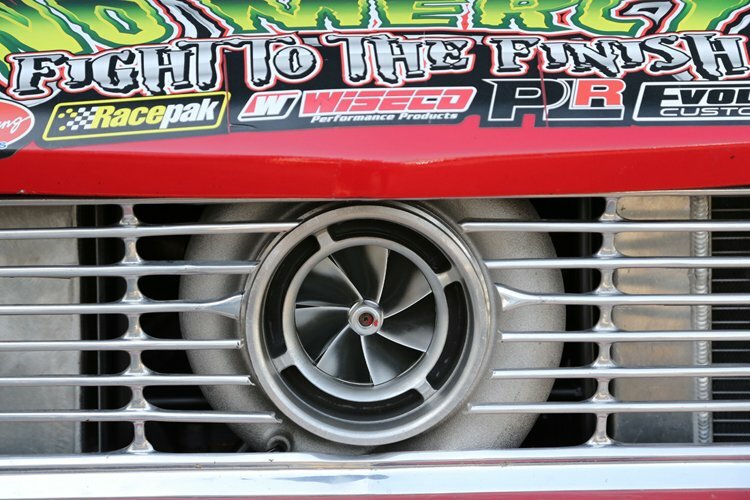 Here’s a look at a bunch of the best!